My cup was empty. Imagine the large soup bowl type coffee cup that you can wrap both hands around to warm yourself on a chilly day. Imagine it EMPTY. That’s how I envisioned it anyway. I’d never stopped to fill it. Constantly trying to fill everyone else’s cup and keep things running smoothly. It’s as if I believed perfection could fill it up. I’d bring my cup, even quite literally once, to communal events expecting others to fill it. But even if I left with my heart filled to the brim, I’d find it empty again soon. It seemed as if the cup was broken and the love would slowly slip away through the cracks leaving me again…EMPTY. Over time it became obvious that maybe the cup needed to be fixed. Rather than continuing to reach for outside solutions, maybe this needed to be an inside job. And maybe, just maybe, when I doused the cup with attention, caring, and self-love I’d actually uncover an amazing vessel, not transformed by corrections but beautifully revealed anew. A vessel that could not only be filled with love until overflowing, but was actually itself constructed of love and compassion. For self-love is not merely the patch of a spa visit or the band-aid indulgence of a chocolate treat on a difficult day, it’s knowing yourself from within with a clarity like no other and honoring who you see. In the past, I’d scoured the outside world for an answer to fill my cup, reading passages from Marianne Williamson, books by Brené Brown, listening to interviews and talks by Pema Chödrön and other guests on Oprah’s Super Soul Sunday. * I was seeking a deeper understanding of true happiness from a variety of sources. They all pointed me in a similar direction. To sit in the stillness of the moment with a curious eye and an open heart. All the signs were there continually pointing me in the same direction, but yet instead, with a cautious heart, I chose to read about meditation, contemplate it, study it, listen to others experiences of it, but not actually sit still, relax, get comfortable and do it. In 2018, I resolve that will change. So the question now is, as a busy mom of two, with a full life on the side, how do I start a regular meditation practice and keep it going? Well, the first tip I found was to “Just Breathe.” Lucky for me, I can do that. Wherever I am, my breath is there as a tool for mindfulness. Breathe in peace and find space. Exhale that sensation down throughout the body, checking in with a spirit of curiosity. How am I feeling in this moment physically, mentally, emotionally and spiritually? Each breath is another opportunity to see myself more clearly, who I truly am here in this moment, without judgment. While meditation conjures up thoughts of sitting in lotus on a cushion for hours, it luckily does not always have to mean complete stillness because we all know that’s not always possible. Incorporating mindful movement, where we move through an activity with focused attention in this moment, counts. It might be walking, yoga, folding laundry, showering, or even lying with my child until they drift off to sleep. The point is to stay focused on this moment, then this moment, now this moment. Focus on the twitter of birds in the distance; a drishti (or gazing point) in each pose; the feel of the material as it’s creased and folded from a mountain into neat, tidy piles of clean clothing; the temperature of the water as it rolls down the skin; and the smell of my child’s hair as I feel their chest begin to rise and fall more slowly under the warm glow of the nightlight. Paying full attention to the task at hand is something we all have the time to incorporate into our busy day. In line with keeping it simple, I plan to develop a mantra. It might be one for each meditation, but maybe one that’s longer-lasting and more enduring with a broader purpose for each day, week, month or maybe even all of 2018. To help keep the habit, I’ll create reminders of the mantra tucked it into my current book, pasted on my bathroom mirror, folded into a note to keep in my purse, on a screen saver across my computer. It’s time to get creative. I’ll need to repeat the mantra as often as I can, consider it a prescription for my health to be provided in regular doses. Open. Warmth. Peace. Love. Equipped with these new tools, I thought I’d start my New Year’s resolution promptly onNew Year’s Day. Best to start right away or else I might find myself at the end of the day with excuses at every turn. No need to roll out of bed. I’ll give it a go even before anyone knows I’m awake, best to have an undisturbed practice that way. So I tuned into my breath, placed my hands in hakini mudra, focused on my mantra of “open” and settled in to begin. First I noticed the sounds in the house, my husband in the shower, the muffled sounds of my children watching TV in the living room. Wait, back to the breath. Open. Breathe. I wonder what there is for breakfast. There are leftovers still from Christmas breakfast. Those should probably get tossed. Guess no one liked them. Wait. Thinking. Watch the thoughts pass by as if on a cloud without attachment as I gently and lovingly I bring myself back to this moment, to this breath. With my arm around my inner self’s shoulders, I imagine leading myself back to my center and my mantra. Scratching. I didn’t even know I had an itch. How did I get here? Pay attention. Wait, be loving. Open. Curious. Breathe again, here now. … Coming back to the conscious moment… I have no recollection of the past several minutes. I must have fallen asleep. Oh great. Well, lesson learned. Maybe there is something to that first tip about finding a meditation space in your house. Then I can leave the bed for it’s intended purpose, sleeping. Thinking mind. Back to the breath with a loving heart. When we are open to change, teachers will arise from many directions. Along with Sharon Salzberg, here are some I hope to explore more in the new year ahead. Perhaps you’re interested in joining me or maybe you’re already on the path and have suggestions or words of encouragement to keep it going. Feel free to leave them in the comments below. May you have a blessed and peaceful New Year! Holly Keich is the owner of Om Baby Pregnancy & Parenting Center in Camp Hill. She is a Licensed Social Worker, Yoga Instructor, Certified Infant Massage Instructor, Parent, Wife and adamant student in the school of life. We’re entering into the months of shorter days, longer nights and full calendars. But, before the season takes hold we can pull back and take a look at how we’d like the season to unfold. Rather than grabbing on for dear life as the holidays trample over us with their long to-do lists all decorated with pretty bows and wrapping, take a breath and see what your soul desires of the coming months. Here are 7 ideas to make it a more meaningful time for you and your family. Have a family meeting and determine what’s most important this holiday season. What activities make your heart sing and your family join together? What would put joy and meaning back into your holiday celebrations and allow you to focus on unconditional love and connection? Is it time together or heading out to celebrate with others? Are there certain traditions you love and fill you with gratitude? Each person gets to share what they love most and the family gets to look at what they want to keep to celebrate the spirit of the holiday. Downscale. Keep the focus on the family and the meaningful traditions that replenish you. Think simplicity, which might mean having to say no. If it’s not on the family intention list, feel the freedom to say “we’re booked.” When setting up your calendar fill it in with special time for the ones you love most. Make sure there’s down time schedule in – blank spaces on the calendar that don’t get run over with activities. And if you get invited to one more thing, practice developing your “no” muscle as a personal gift to yourself. Even before each holiday passes, the next holiday is being marketed for us to buy, buy, buy. Living in a consumeristic world, it can be hard to block out the noise. But before making a purchase, head back to your family intentions list and see if it can coexist with your new values. Celebration doesn’t have to mean buying meaningless things that people don’t need. Minimize where you can. The process is more important than the outcome. Think low investment, high impact items. A great idea is to give others a one less gift certificate which can make the holiday more about spending time together than the gifts that we give just for the sake of giving. Perhaps your passing down traditions that you’ve come to hate or feel overwhelmed bring to fruition. Now is your chance to see if they are still working for your family. What do you want to keep, what can be tossed, what can you create that’s new? Your family intention should help you identify traditions that bring the most joy. In winter months, as the colder weather sets in, we tend towards the indoors, but it can be a crucial time to connect with nature. Moving outdoors allows us to feel freer, more open, restoring our mental energy and alleviating stress. It’s also been shown to boost our immune system – a great benefit during cold and flu season which can turn the holidays from celebration to sedation. Greeting the outdoors can help us to feel grounded during the holidays, nudging us to be okay with a slower pace. Giving to others is characteristic of the season. Whether that means generosity with your time or money, compassion is woven into our very being and is especially noticeable during this time of year. You might hear stories of Walmart layaways being paid off at a local store or other grandiose gestures, but simple, small kindnesses offered with love can have a big impact too. Enjoy the secret pleasure of small Random Acts of Kindness during the holidays (and all year round). Join with the kids to help at a local toy or book drive or other non-profit organization or simply sharing cookies with your neighbors. And don’t forget that Random Acts of Kindness can include yourself which leads us to #7. Top of the To Do List : Breathe! Remember your life’s priorities during the holidays. And whenever things feel out of kilter, stop, slow down and return to #1. Revisit each idea again to see how you can simplify and connect this holiday season! ‘Tis the season to be grateful, fa la la la la la la la la! It’s November! This is the month when we set aside a whole day to focus on giving thanks. And boy, do we need it! In the increasingly negative political-climate that we call “these days,” how do we ever manage to stay grateful? It’s something I spend a lot of time thinking about, but first – why bother? If you’re reading this column, chances are good that you’re a parent. As parents, we want our children to appreciate what they have and Stop. Nagging. Us. For. That. Newest. Toy/Device/Fad. We all dream of a beautiful time when our children bypass the rampant holiday consumerism and truly appreciate the holidays as a time to be with the ones we love. And that’s why we bother trying to add gratitude to our lives. We want it for our children and they won’t learn it unless they see us demonstrating it. So how can we feel more gratitude? One of the things I learned from living with a chronic illness is that gratitude is an absolute necessity in order to soldier on and enjoy life. So I pursued it fiercely and… gave up quickly. I couldn’t figure out what I was doing wrong. I wanted the gratitude so, so much, but it just wasn’t coming to me naturally. I muddled through until my then-toddler helped me realize that having an “attitude of gratitude” was not enough. Just like his little brain needed tactile ways to learn, I needed to do something to signify the gratitude. Since then I have discovered so many possibilities! Here are a few that might help you too! we get leaf-shaped cut-outs and write what makes us grateful that day on our respective leaf. We then tape them to the wall or hang them from a plant in the house. It doesn’t have to be fancy, but it sure does make an amazing visual of all the things that make you grateful! 4. Have older kids? Get them to use their devices to take a photo of something that makes them grateful every day. They could post it on social media if they’d like and spread the gratitude! Or they could make a digital photo album out of it later. It also sparks creativity and mindfulness (a.k.a. spinach brownies)! 5. Share the love!!! If you’re feeling grateful for something, post it on social media or tell a friend. I have a Gratitude Photojournal that I’ve kept going on social media for years and you’d be surprised how many people have told me that it makes them look around and appreciate the little things too. This is not about the “humble brag,” friends. This is genuine, heartfelt gratitude. You know what the best part of my day was today? An iced mocha. A really, really good iced mocha that gave me the oomph to get through a big morning. And tonight that will be my post. Tomorrow it might be something much bigger and more important like my beautiful boys, a roof over my head, a husband who lovingly tucks in the boys when I work late, yadda yadda. But today was tough and that iced mocha got me through it, so it is the winner today. 6. Take it to the next step. Once gratitude starts to sneak into your daily routine, you’ll probably have a stronger feeling of hope edge in too. If you want all of this to equal happiness, here is your equation: Gratitude + Kindness = Happiness. This is a fairly well-known equation, so put it to work. Use your gratitude and new-found hope to make the world a little brighter. It doesn’t take much: a friendly smile, a door held on a rainy day, a genuine compliment to a stranger or a friend, a kind word to someone who seems down, a listening ear, a warm hug. I could go on, but you’ll find your way. 7. Bonus!!! When you start actively searching for things that make you grateful, you might just see your partner, your kids, your house, your job, your life in a whole new light. It may sound trivial, but it’s true. Gratitude + Kindness = Happiness. So let’s make a habit of practicing gratitude and cultivating gratitude, so that it becomes second nature. I can guarantee it will make a difference to your family, to you, to your circle of friends, and maybe – just maybe – it will ripple out much further than you’ll ever know. Jessica Nupponen is an events coordinator, choir director, sometimes-music director, and all times mom. Her hobby is running Sidewalk Chalk PA, an opportunity to make the world a little brighter through chalk. Jessica lives in the Harrisburg area with her husband, and their two “ridiculously adorable” boys. While there are many treats that come with Halloween, here are a few tricks to get you through the season with your baby or young child. Choose costumes made out of clothing they would typically wear. A jacket with ears on the hood, can turn into a bear costume with a little imagination. Avoid costumes with too many pieces, you’re going to spend the entire time trying to convince your little one to keep it all on if you do. Have the perfect costume? Be sure to save the memory with a portrait. Trimmer Photography will be at Om Baby’s Halloween Party on October 31st from 3:30-5:30pm snapping photos of all the adorable little witches and pumpkins. Be sure to stop by to get your Halloween keepsake that you’ll love for years to come. Traditional Trick or Treating may not be appropriate for babies and tots, so here are some ideas of alternatives that you might consider: Trick or treat for charity ( you may want to let your neighbors know in advance that you’ll be collecting donations), visit an assisted living facility to brighten their day with your baby in costume, visit your local harvest festival in costume for some seasonal fun, surprise the grandparents with a costumed visit, hang out at home and pass out candy to the trick or treaters (but beware of kids with scary costumes) or Om Baby’s Halloween Party is geared specifically for the littlest ghosts and goblins and is a good time for all. 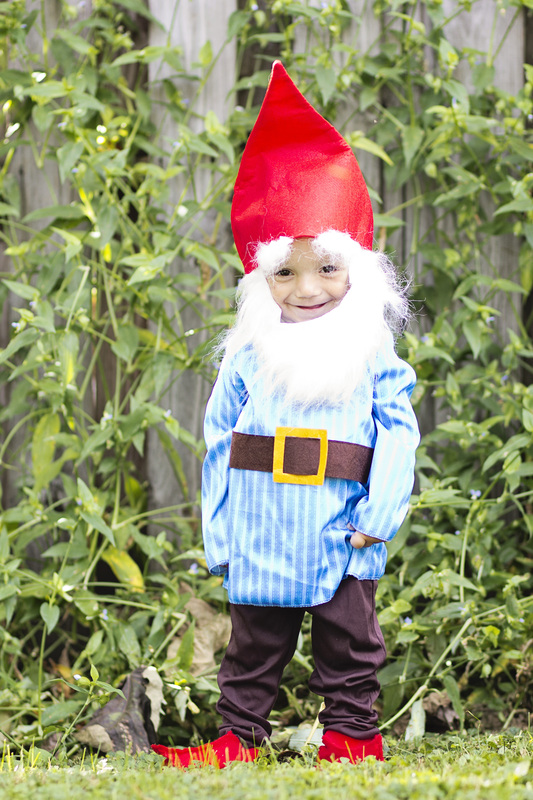 For the youngest trick or treaters, it may be difficult to separate fantasy from reality. Around the age of 3, they may begin to understand pretend play. So before Halloween night, let your child try out their costume by wearing it. Rehearse saying “trick or treat” if you plan to take them out. Reinforce that everyone else is also pretending just as they are. Discuss reality vs fantasy. Be sure to allow them to express their fears and concerns and provide reassurance. Stifling their anxiety by telling them not to be afraid will invalidate their concerns and fears. Be sure to let them know that you care by listening and reassuring them that as the parent, it’s your job to protect them. If the child is upset by the idea of wearing a costume, then don’t do it. All children develop at different paces and it’s important to respect where your child is in this moment. If they want to give it a try, be sure to go trick or treating early before their older peers in scary costumes venture out. Beware that stopping at your local Halloween shop to pick out the cutest costume is like going to a haunted house with your toddler. Closing their eyes while they pass the gorey decorations may not be enough. Skip it and shop at Good Will, Salvation Army or Community Aid. They have lots of 2nd hand costumes & decorations at reasonable prices, without the fear factor. Be sure to give your little ones a healthy meal before you head out the door. Not only will it keep them from getting cranky, but it will keep them from begging for candy, at least out of legitimate hunger. Feeling festive, try some healthy Halloween snacks such as banana ghosts or tangerine pumpkins. Not sure what I’m referring to, Pinterest has your answer. After the night is through, you might be amazed at how much candy your child has accumulated from such a short time trick-or-treating. Be sure to do your safety check of all the candy, and miraculously a few might go missing (especially that whole chocolate candy bar your neighbor packed into your child’s bag). Other options to pare down the treats without adding pounds for you, might be to visit one of the many Halloween candy buy back programs. Boscov’s (http://jdrf.org/centralpa/2015/09/21/boscovs-halloween-candy-exchange-2/) does a candy exchange program or check with your local dentist to see if they participate in the Halloween Candy BuyBack (http://www.halloweencandybuyback.com/) or ship it to Operation Gratitude which includes Halloween Candy in care packages for the military. Most important of all, enjoy the season and enjoy watching your little one experience the fun of the holiday. Let us know if you have any tips that we’ve left out at below.